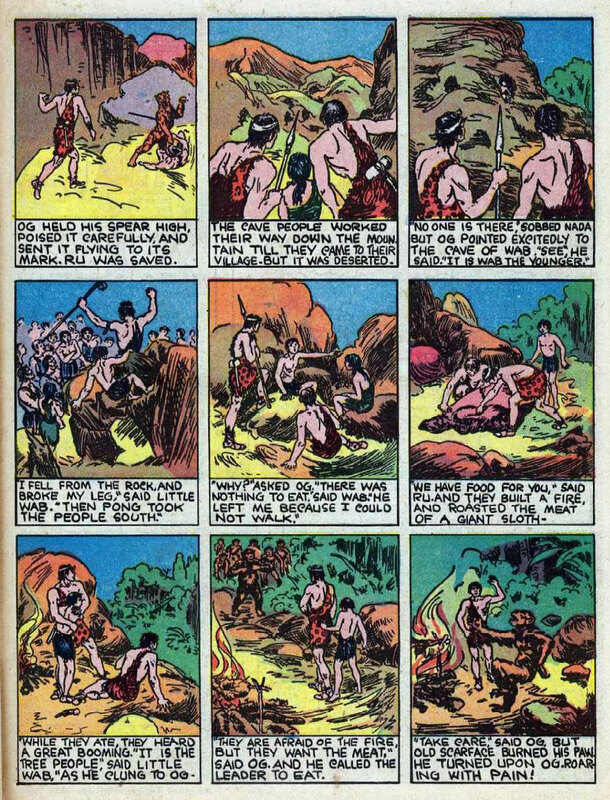 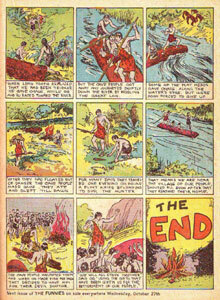 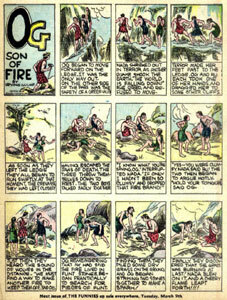 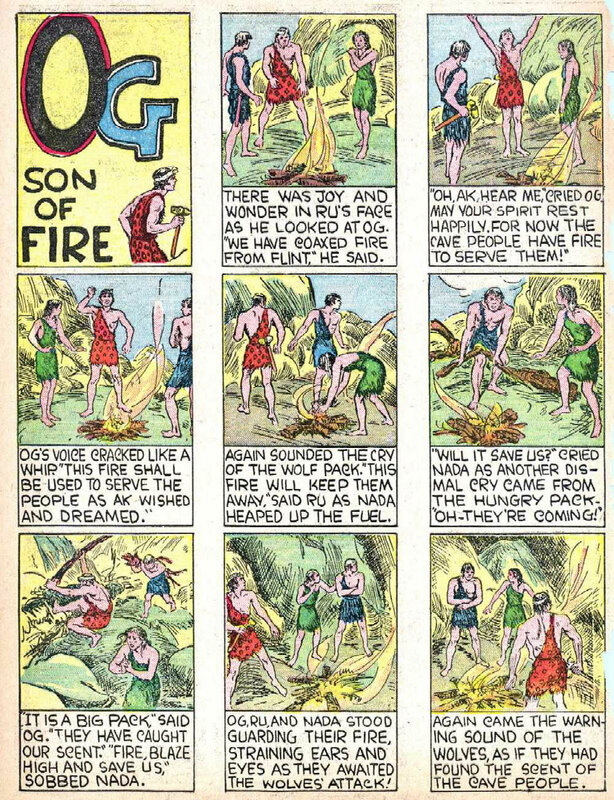 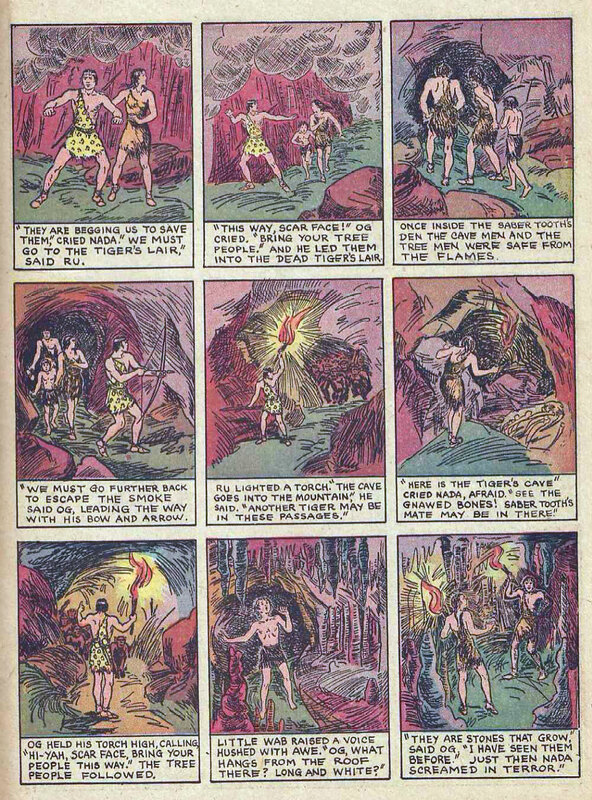 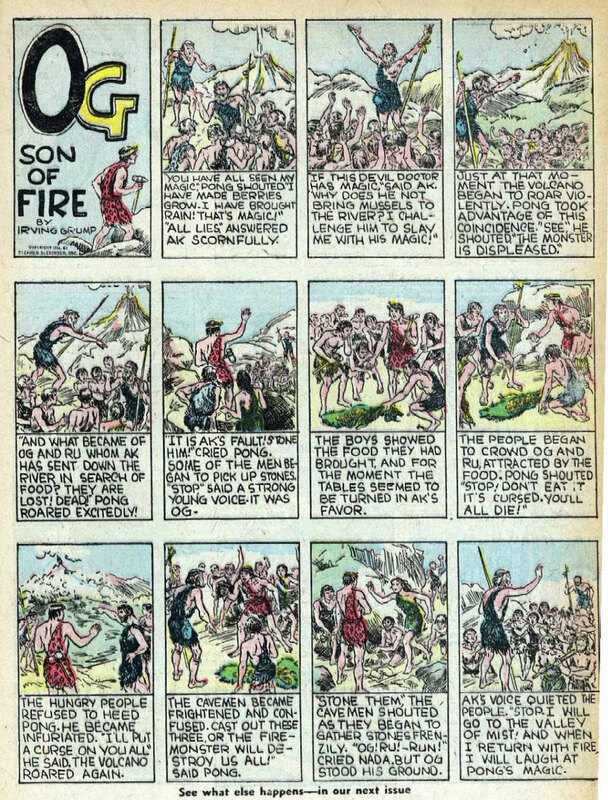 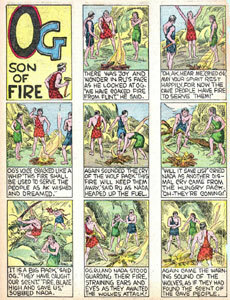 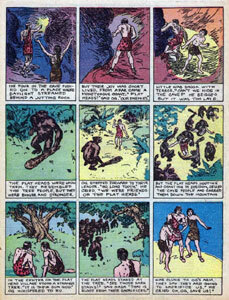 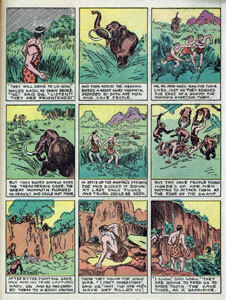 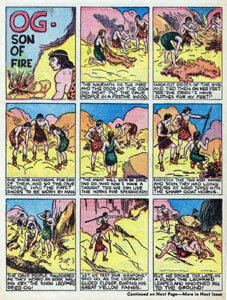 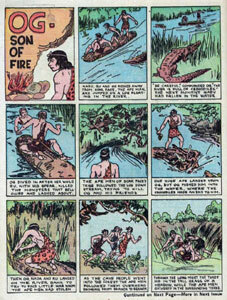 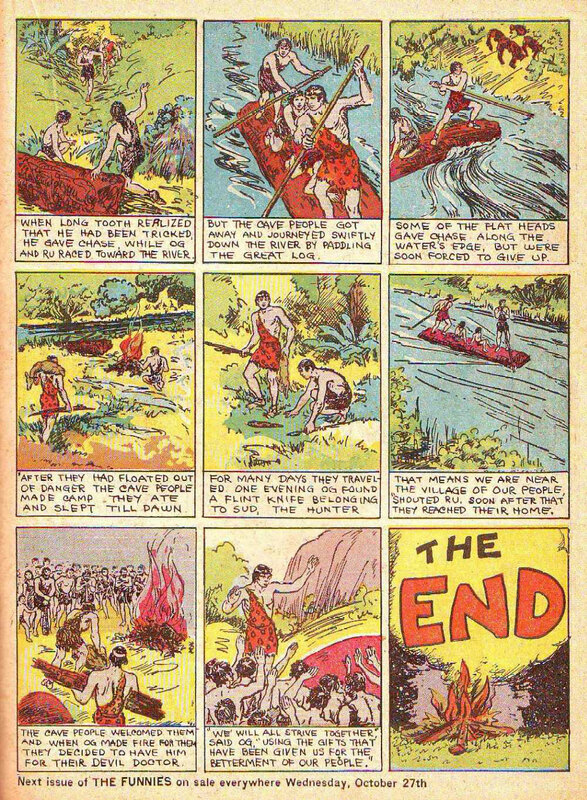 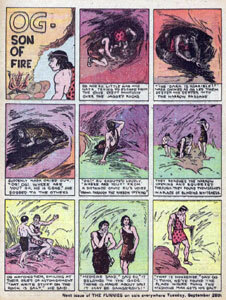 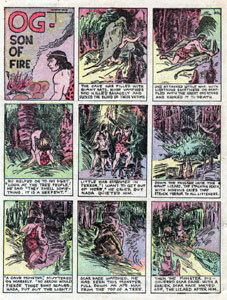 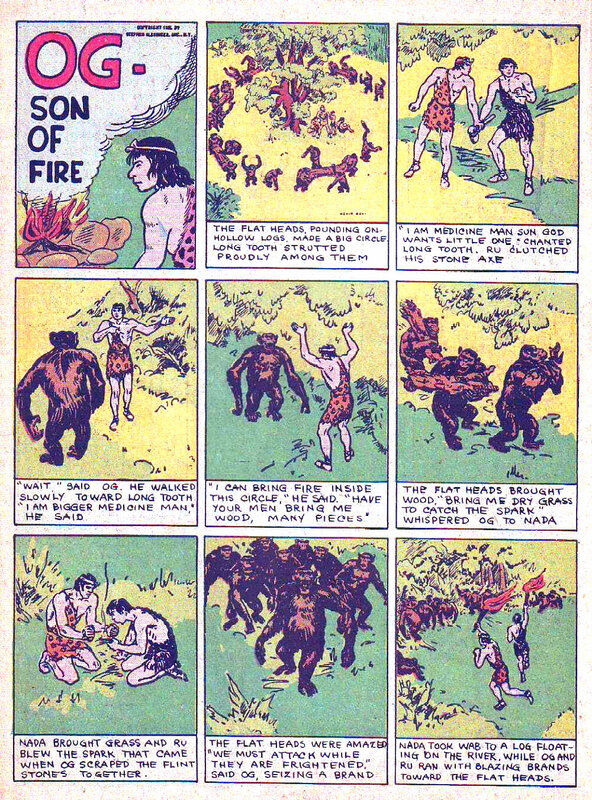 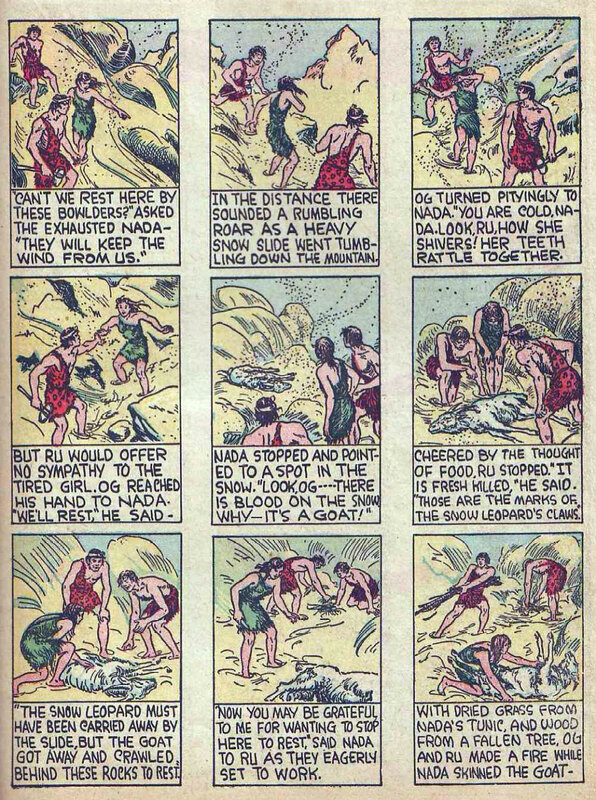 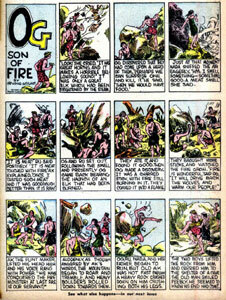 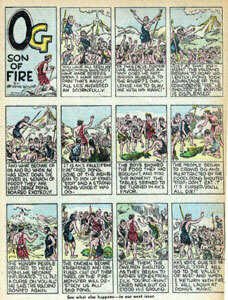 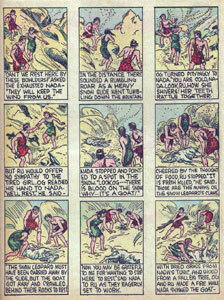 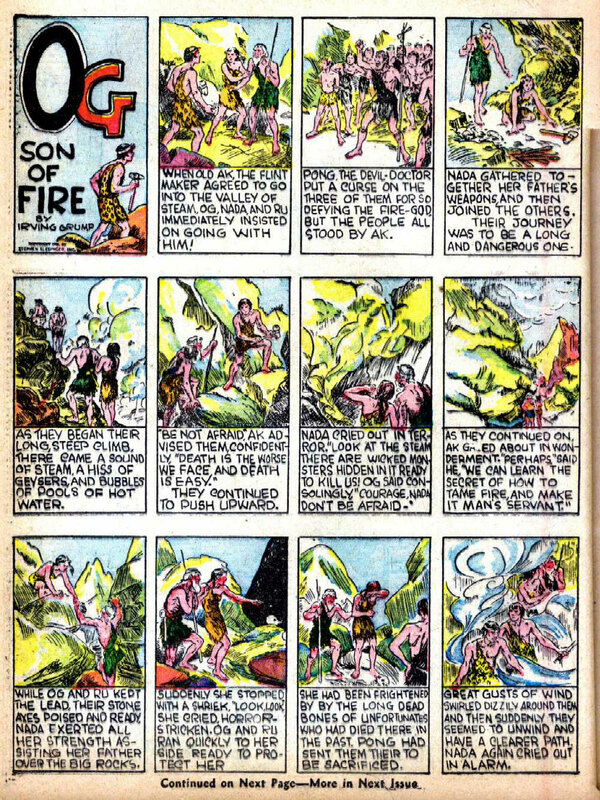 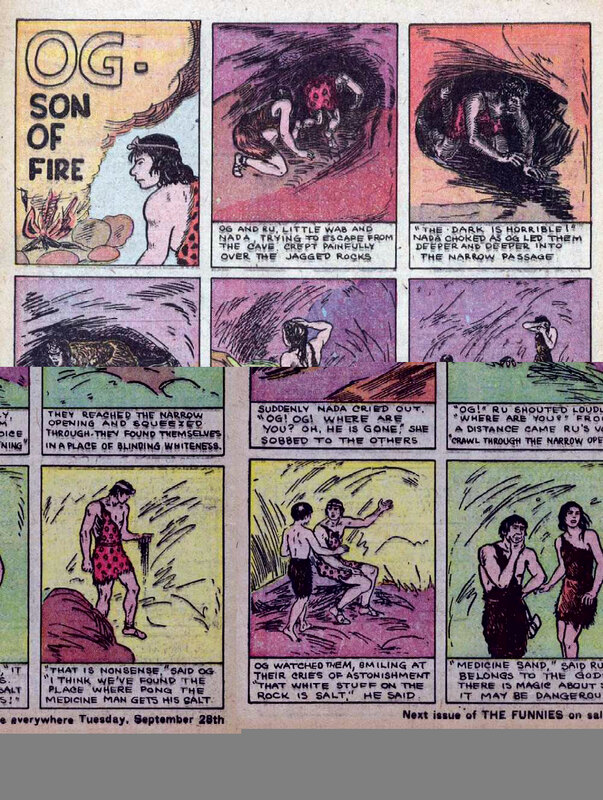 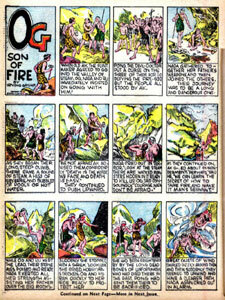 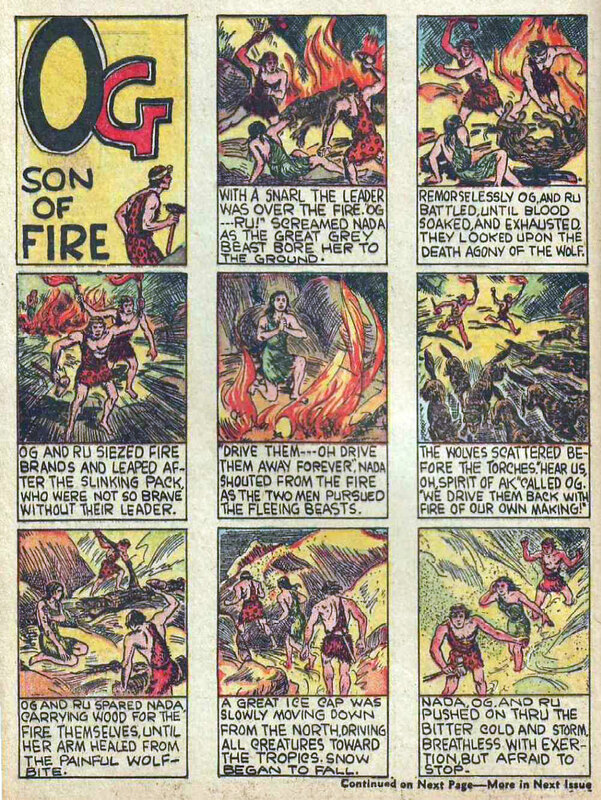 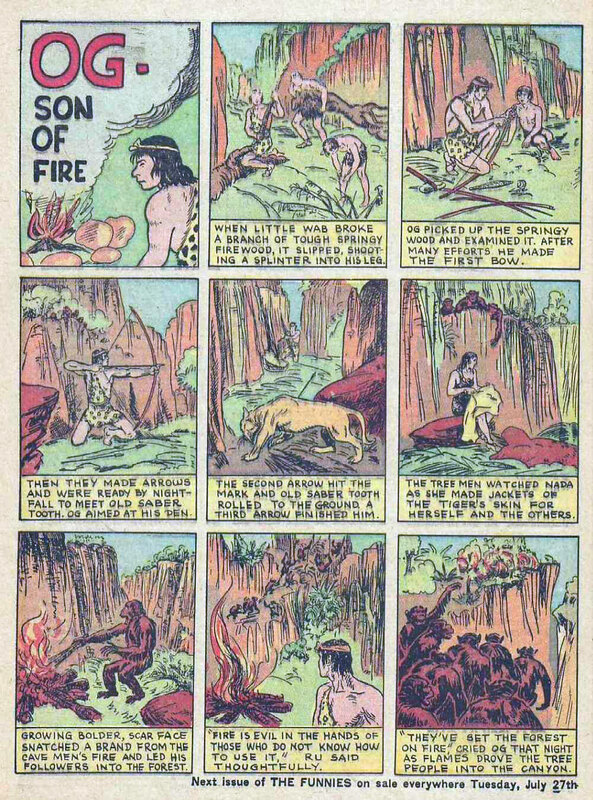 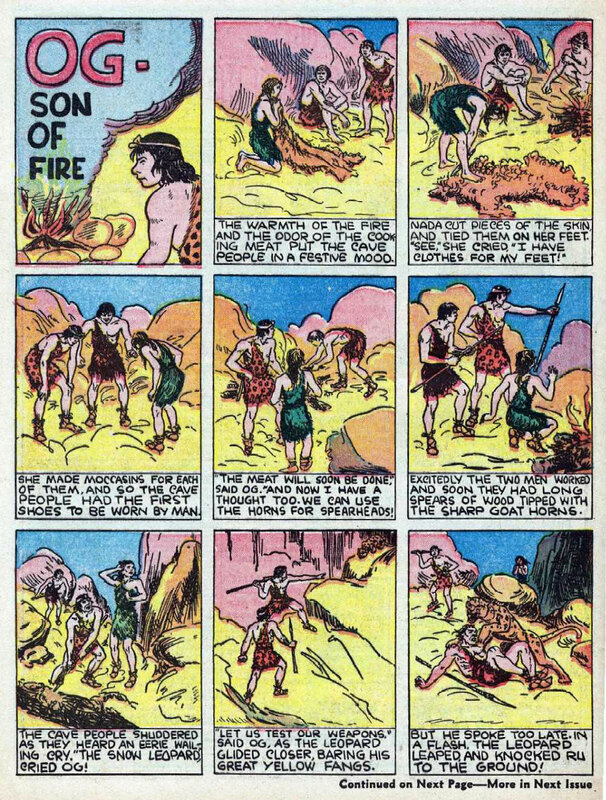 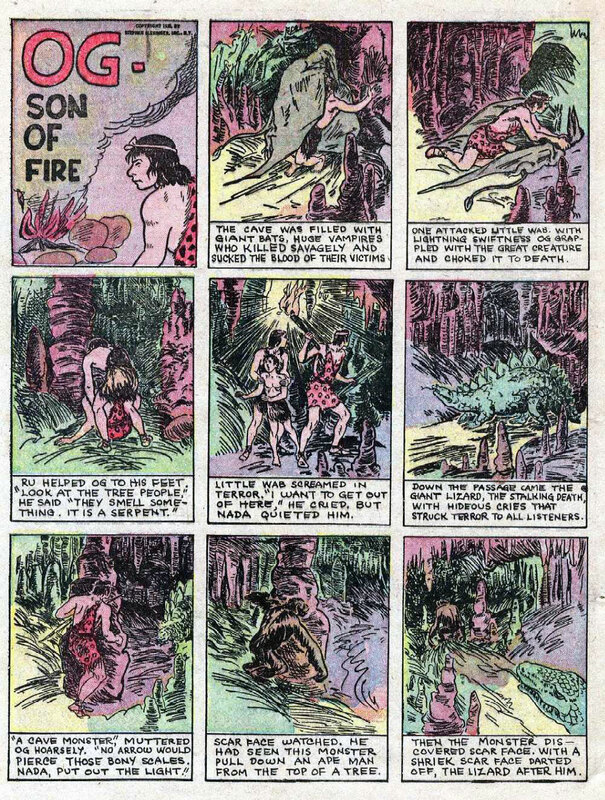 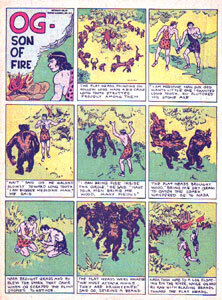 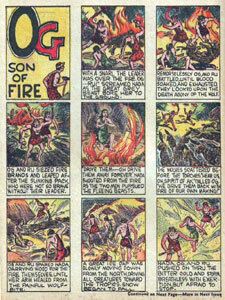 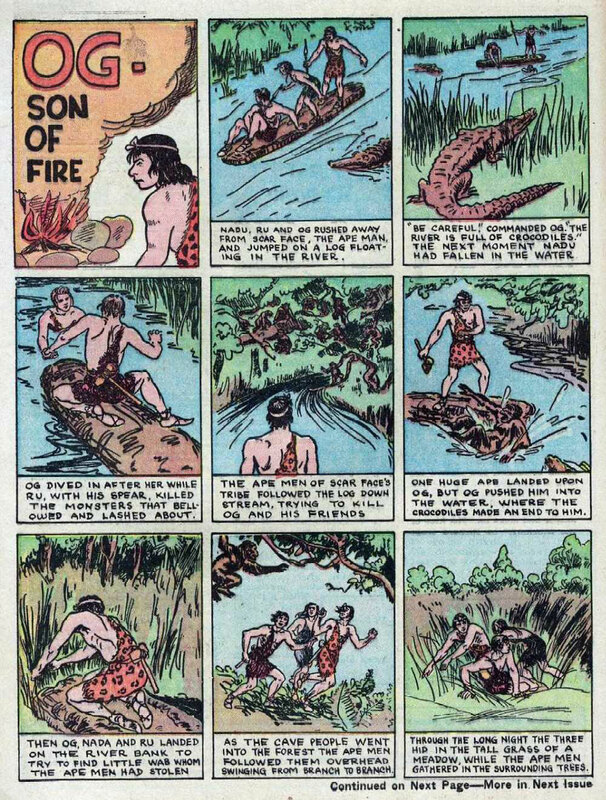 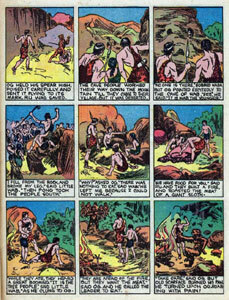 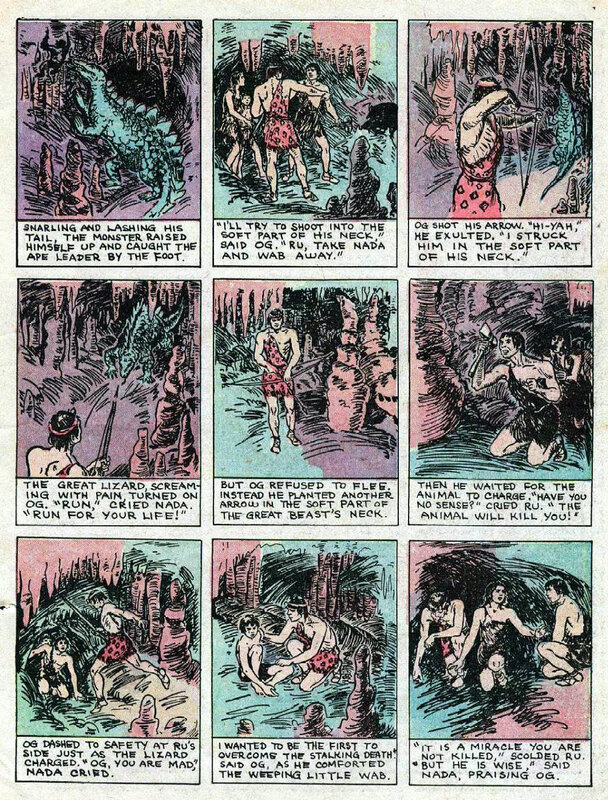 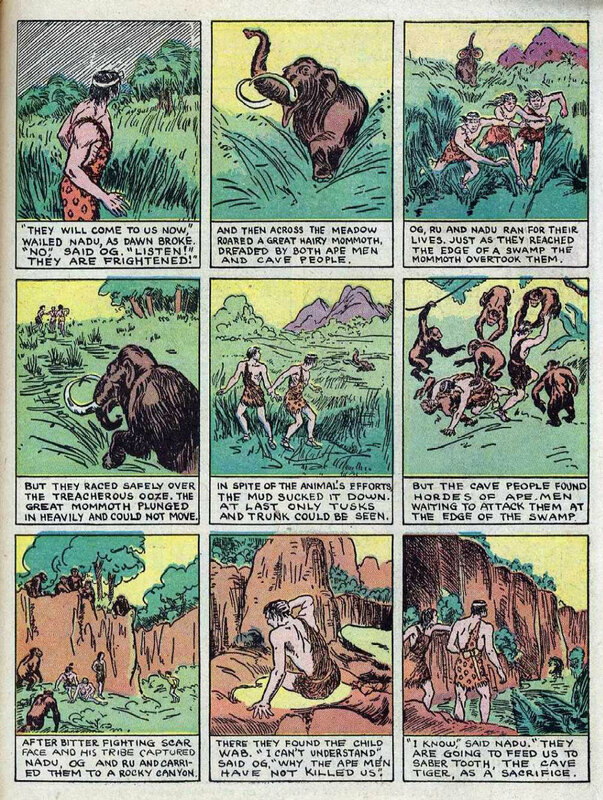 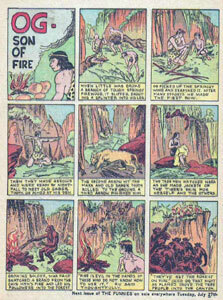 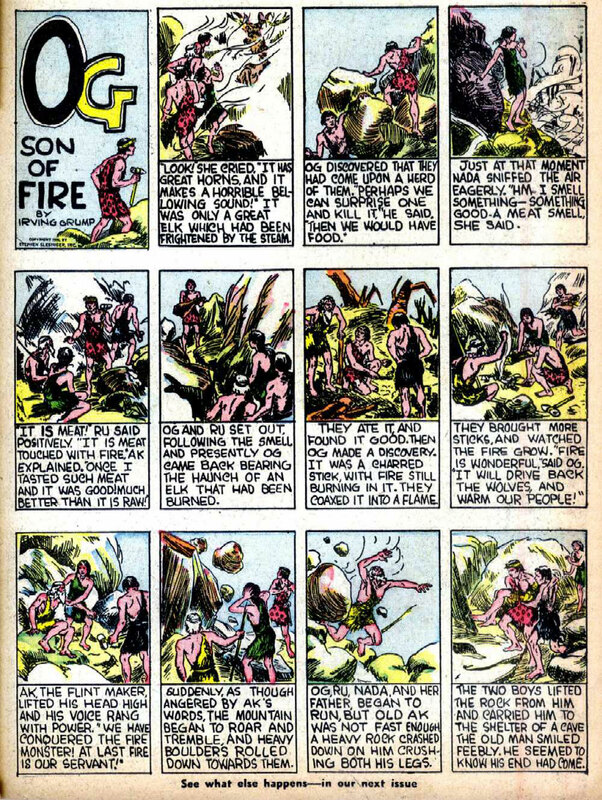 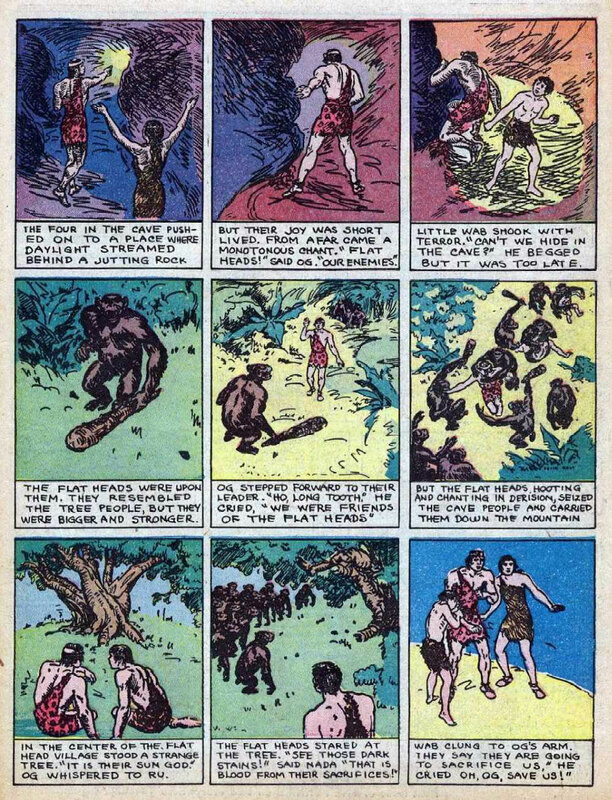 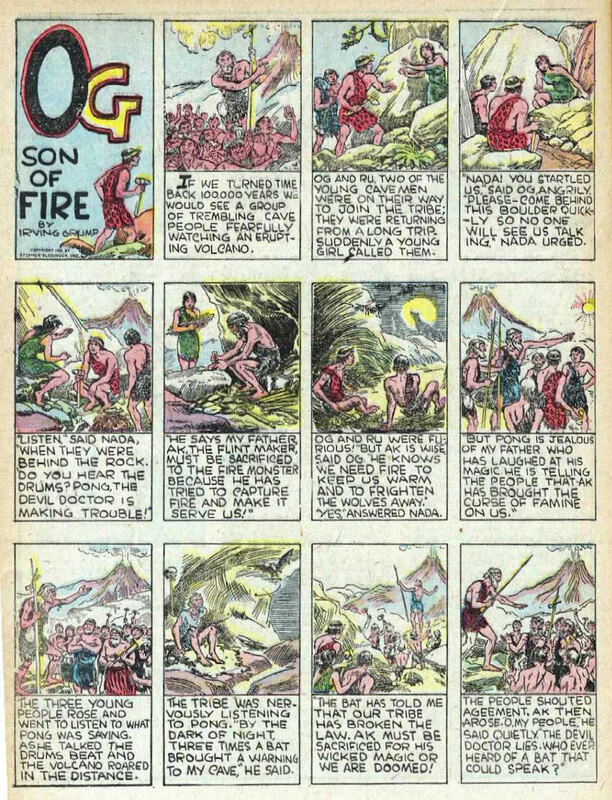 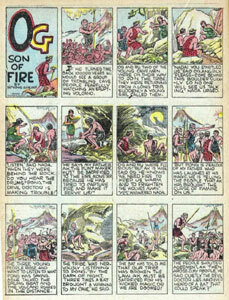 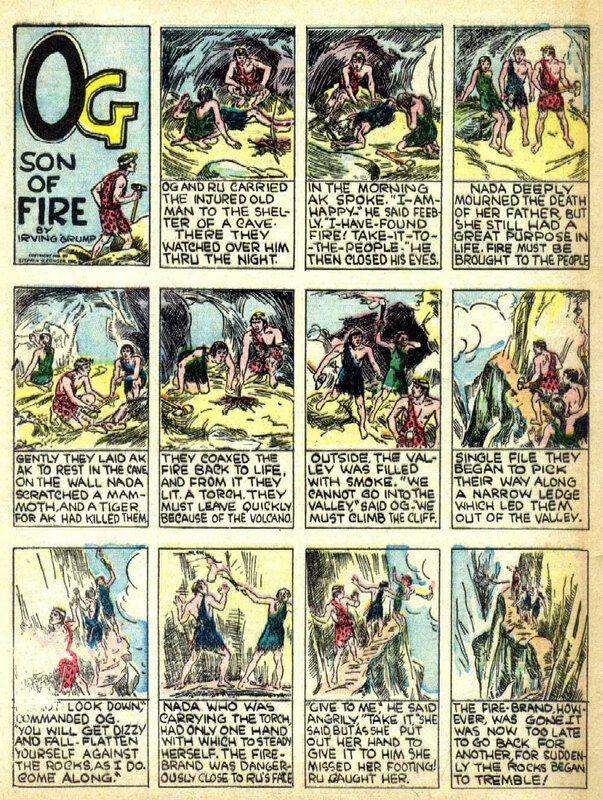 From January through November 1937, Dell published a series of 22 pages of Og comics in The Funnies, one 2-page spread per issue, based on the Whitman Big Little Book version of Og Son of Fire. 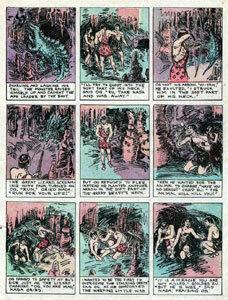 The BLB version includes 207 drawings, and the comic version uses 200 of them... but colored in! 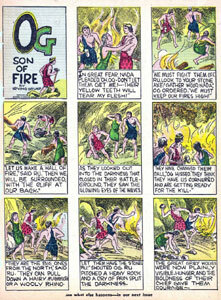  The text, based on the BLB but somewhat abridged and modified, appears under each frame. 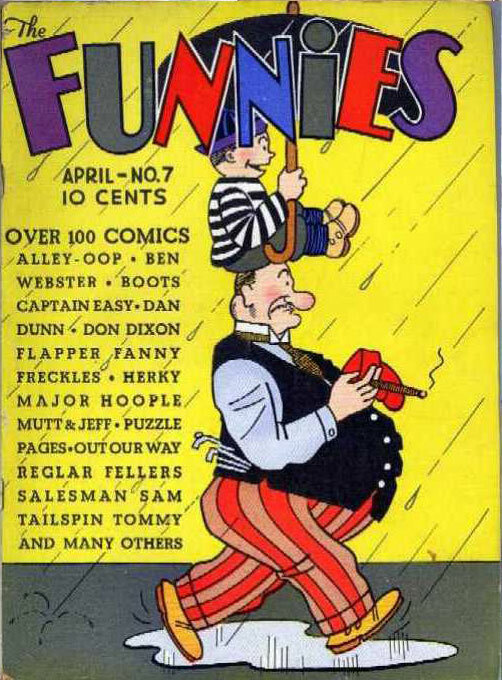 (Unlike the BLB edition, which shows "Based on the famous radio adventure series by Irving Crump", in The Funnies, Irving Crump is credited as the author, at least through the April issue (#7)  though the name seems to be written "Grump"!) 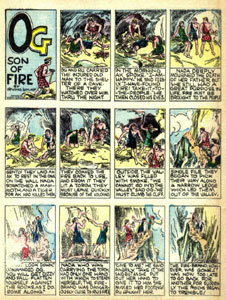 The 22 pages are reproduced here. 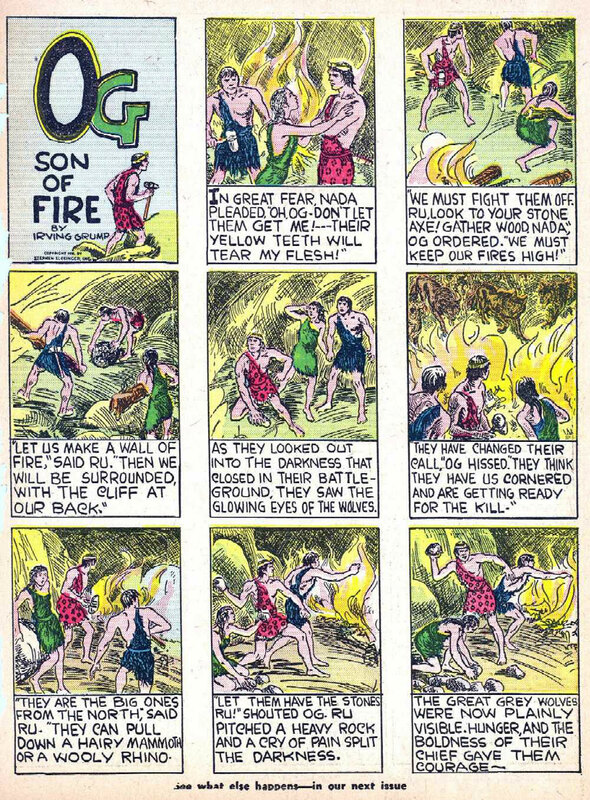 We have these Og in The Funnies pages thanks to Don "Zu-Gogo" Falkos, who discovered Og in these issues of The Funnies and sent me the scans. 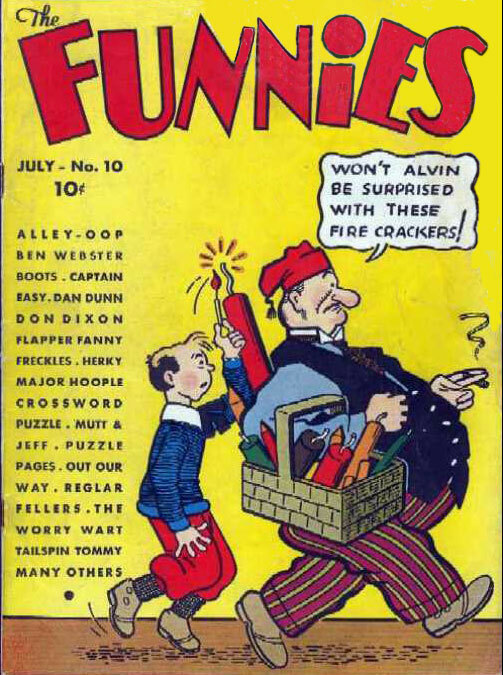 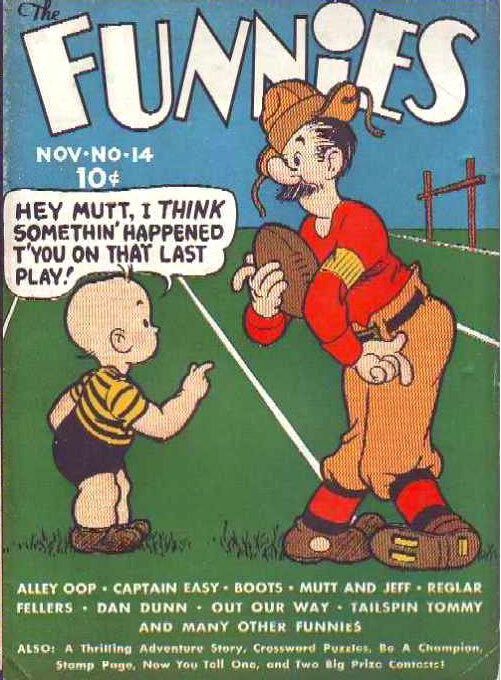 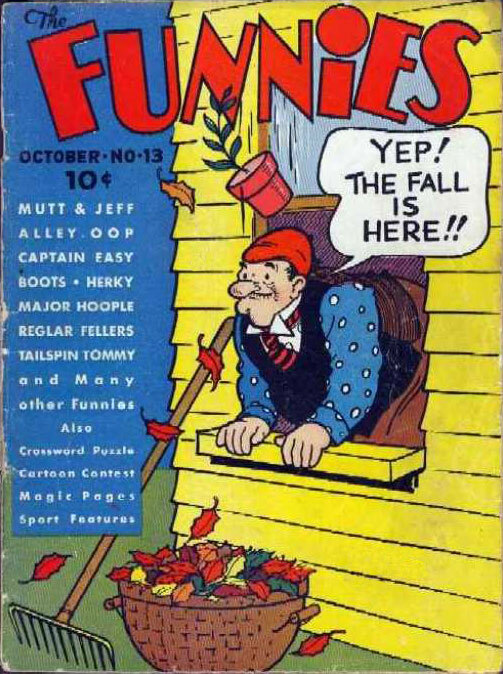 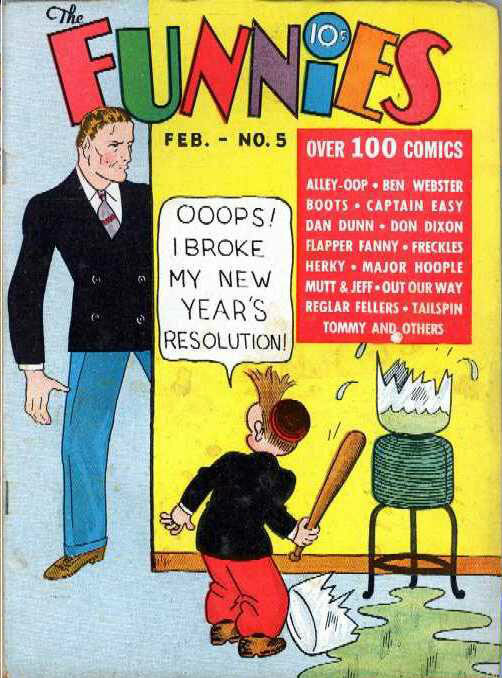 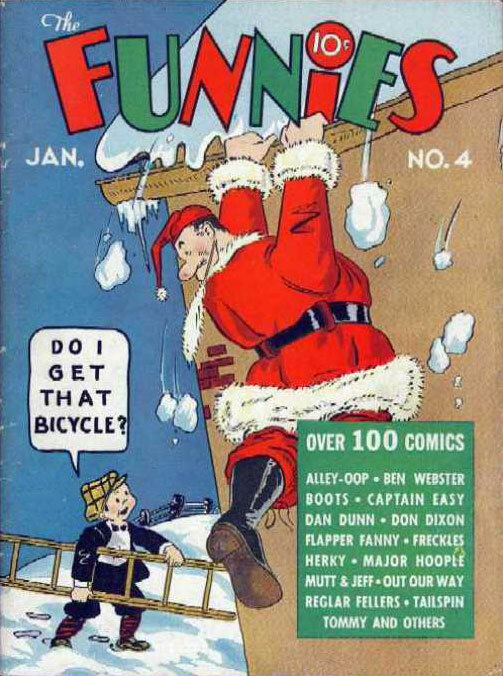 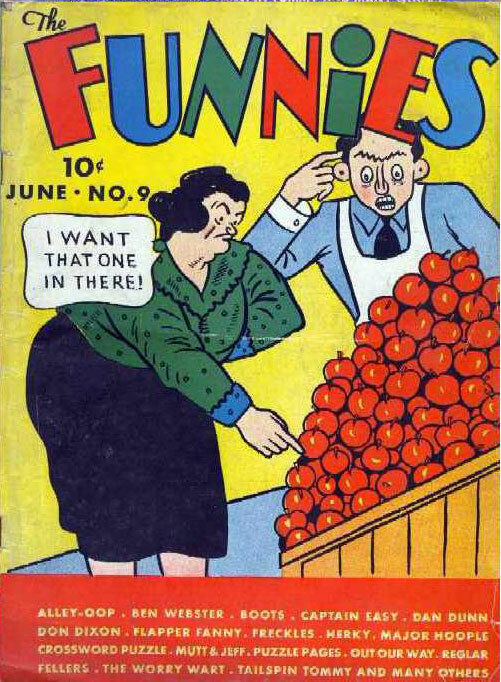 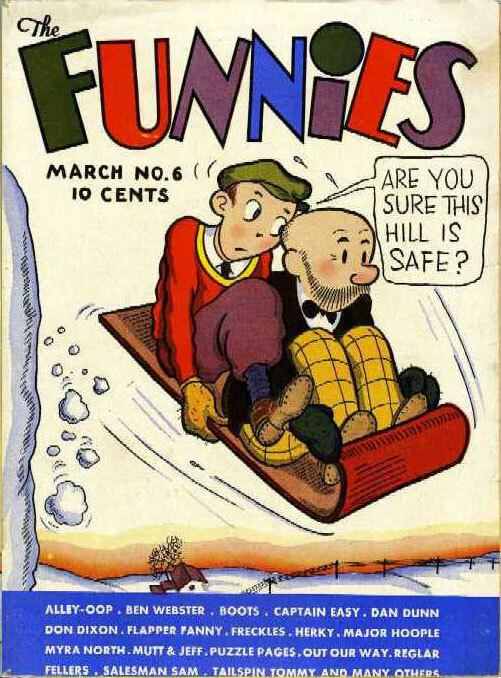 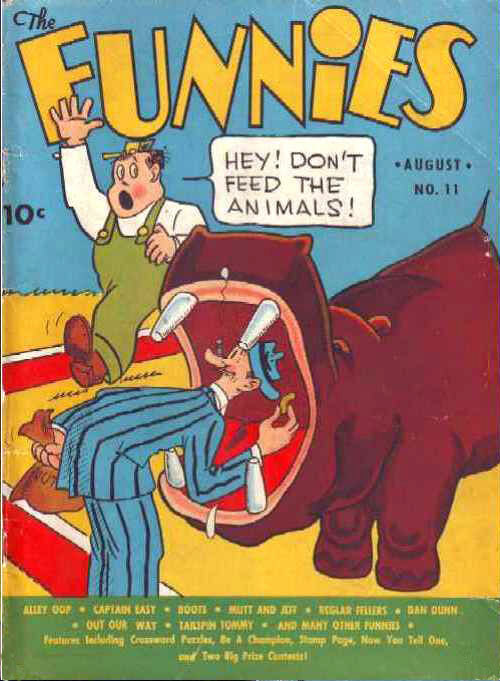 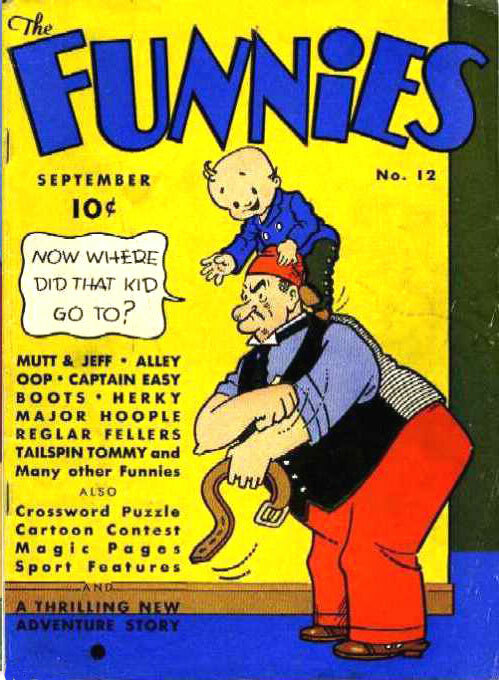 The Funnies were found at Golden Age Comics, where you can see the complete contents of the issues. 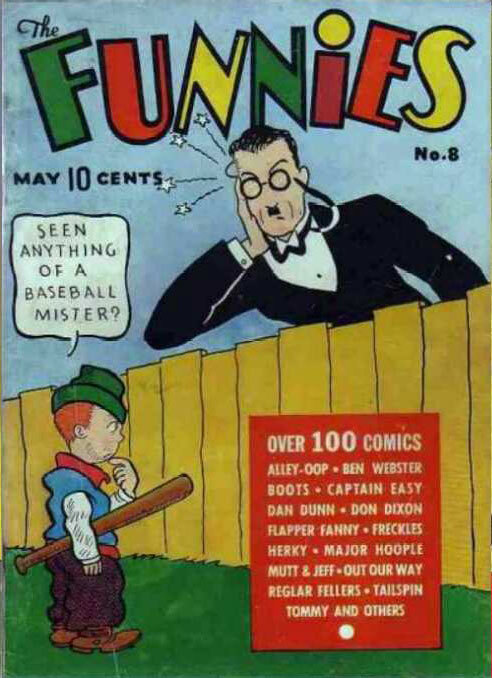 Thanks Don!